How do you pursue your life goals? Lucas Barra, a former team member of SportsForce, created Dreamchasers to help give millennials the tools, resources, and inspiration to create a life of their dreams. The Dreamchasers podcast is the place to go to get inspired, hear from the upcoming stars like you, pursue your life goals, and help you take your life to the next level. For their first podcast, Lucas interviewed our CEO, Andrew Beinbrink, regarding entrepreneurship, goals in life and his passion for helping student-athletes reaching their goals. In the interview, Andrew gives tips on navigating the recruiting process for student athletes, how to set life goals, and creating great habits. He emphasizes how important it is to ask for help when you need it, as well as, creating a game plan in order to achieve the goals you’ve set for yourself. Further, he explains that the first step to being successful in life is to have faith in yourself. He recommends to always see yourself at your best because when you re-engineer your self-image, it improves your energy, how you connect with other people and how you show up in relationships and in life. – The college decision is one of the most important decisions in someone’s life. Take the time to make the right choice for you. – We are all entrepreneurs at heart. If you can take ownership as the CEO of your life and build from the inside out, success will come. You can check out more informative and inspirational content on the Dreamchasers website. What does it look like when a professional and those with less experience try to secure college offers, earn significant scholarships and play their sport in college? Let’s highlight some of the key differences in the two approaches. Meets with certified counselor to ensure high school courses are in line with NCAA core course eligibility. Analyzes best classes to take in order to maximize GPA while maintaining an appropriate strength of subject content. This is based on the academic requirements of their college target list. Analyzes and determines the best test to take (either SAT or ACT) based on individual strengths and focuses on studying for one test. Uses professional help/guidance in studying for tests. Receives proper athletic evaluation. Creates and executes a customized game plan to begin the recruiting process. Targets appropriate colleges that match student-athletes academic, athletic, geographic and financial desires and abilities. As a result, enjoy shorter recruiting cycles. Begins in the freshman or sophomore year. Develops ongoing and strong personal relationships with multiple college coaches. Makes it easy for college coaches to communicate and interact with them. Understands when a college coach is genuinely interested in them, or if the coach has no interest in making them an offer. Executes their game plan and secures multiple offers from best-fit schools. Does not understand core course NCAA eligibility requirements. Does not regularly meet with certified counselor to properly track high school course load. Only takes mandatory courses or classes of interest with no link to specific target college academic requirements. Studies for, and takes both the ACT and SAT tests. Then determines what might be the best test to take again. Does not use prep testing services. Sits back and waits for college coaches to contact them. Hopes to be discovered by college coaches at a camp/tournament/showcase. Rely on outside factors such as club or high school coaches to help them be recruited. Receives and acts on poor advice from well-intentioned people. Gets serious about recruiting late in the junior or senior year. Wastes a lot of money and time on attending multiple camps/tournaments with no idea if these are the appropriate ones to participate in. Managing the recruiting process like a professional is not easy. Most know that they will experience this event only one time and making mistakes are costly. It’s competitive and hard work. It requires focus, sacrifice, determination and the appropriate resources. The professional is prepared and committed to achieving their goals over the long haul. 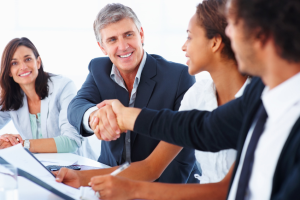 Inexperienced people typically do not take control of the recruiting process. They usually fall short of achieving their college recruiting goals. They lack a well-conceived game plan and find it difficult to execute basic strategies. They typically repeat activities that are ineffective and unsuccessful. Inexperienced families and student-athletes do try their best. Even though they sometimes may achieve incremental gains, much of their success is left entirely to chance. Of the 8 million students playing their sport in high school, approximately 94% or 7.5 million never go on to compete in their sport in college. The competition is too fierce, the roster spots and scholarships are too limited, the process is too complex, the college recruiting budgets are too small and the stakes are too high to manage this process without the necessary tools, guidance and professional support. You don’t have to go it alone. As the nation’s premier college recruiting advisory group, SportsForce provides families with a highly trained team of college recruiting advisors who have either played or coached their sport at the college level. Our entire team of professionals dedicates their passion, time and attention to properly evaluating, educating and successfully guiding qualified student-athletes and their families through the college planning and recruiting process. We can help you too. We would like to congratulate Matt Stearns on his commitment to California State University, Dominguez Hills! Here are Matt’s recruiting story and interview after his commitment. Good luck as a Toro! A few weeks ago. The process was exciting. I had the opportunity to choose from three schools. I chose Cal State Dominguez Hills. The fit was the best for me and my family. The coaching staff is really great there and I get to stay in SoCal playing baseball. Ryan and Darrell were super helpful and the insight they gave us was invaluable. Sportsforce helped us get noticed by a lot of schools. Ryan advised us on which showcases and tournaments I should attend to maximize being seen by the schools I was interested in. Start early, find the schools that will be the best fit for you and your family. 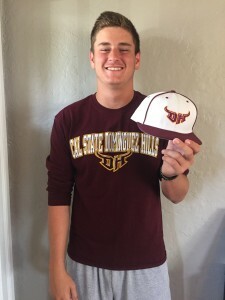 I am super excited about taking my game to the next level and playing College Baseball. I would recommend Sportsforce to help others with the recruiting process. I learned a lot from Sportsforce on how to communicate with coaches and find the best fit for me. 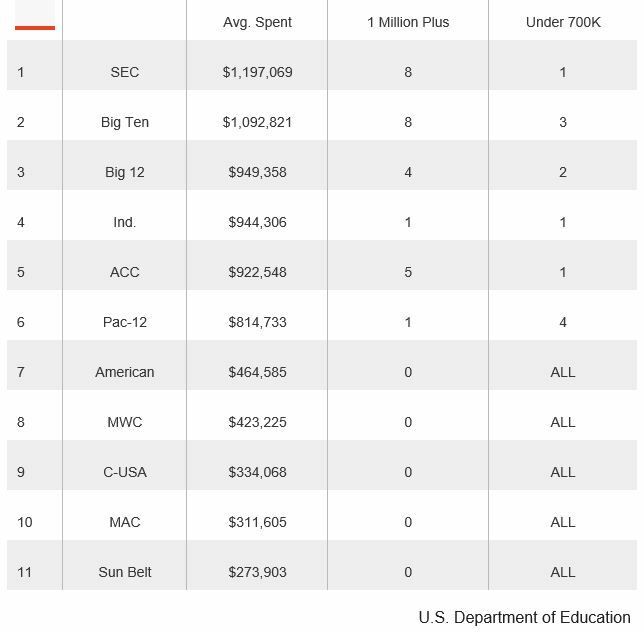 According to the Department of Education, the average recruiting budget for FBS men’s sports programs is $700,000.00. Think about that for a minute. 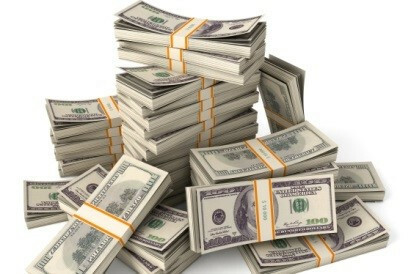 A major NCAA Division I athletic program will spend an average of $700,000.00 on the recruiting efforts for ALL of its men’s sports programs. What’s rarely mentioned is that football and men’s basketball will consume about 50% or $350,000 of that budget. That leaves an average of only $50,000 for each of the remaining sports programs like baseball, golf, lacrosse, swimming/diving, tennis, soccer, track/field & cross country to secure recruits. If a college or university funds additional men’s sports like water polo, wrestling, and hockey, the recruiting budgets are even further diminished. But each program is not evenly funded so many sports may receive much less than $50,000 to recruit high school student-athletes. Important note: women’s sports programs usually average substantially less in recruiting budgets than men. Given these figures, it’s easy to understand why college sports programs have a difficult time locating and evaluating all of the talented high school student-athletes in the U.S and abroad. They simply do not have the resources to accomplish the task. This is even more evident if you compete in a sport outside of football and basketball. Be properly evaluated and start targeting schools that match your athletic, academic, financial and geographic goals. Don’t wait to be contacted by college coaches. Create an appropriate game plan to begin personally introducing yourself to coaches at proper fit schools. Begin building and sustaining personal relationships with college coaches over an extended period of time in order to secure offers from best-fit schools. Understanding the limitations of college programs to recruit high school student-athletes and executing a well thought out game plan may produce outstanding results in your goal of playing your sport in college.